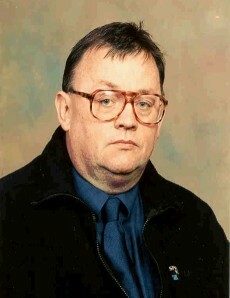 Councillor Terry Kelly: THE SNP'S SQUALID PAST. HA HA HA, Is that the positive case for the union, you insignificant member of a dead political party, I repeat ha ha ha, hee hee hee. too pathetic for words. not that i expect you to actually publish this, you have become quite strident with your deletion of comments outlining your paucity of thought. I am always happy to print such a typical snp contribution from yet another anonymous snp coward and supporter of fascism, I want as many people as possible to witness what you people are like. I Intend to remain anonymous, you unionist boys are a very violent bunch when somebody threatens to take away your butchers apron even by democratic means, hows that sitting with you Terry, your orange loyalist bedfellows in UKOK. Want to discuss Sir Oswald Mosely Labour MP for 13 years and chancellor of the duchy of lancaster in the Labour government in 1929, before going on to form the british union of fascists,which included the blackshirts, does his history imply that all members of the labour party in the 21st century are fascists by association, or does that just reply to the archaic SNP. Is this seriously what you are reduced to,comedy gold, you never fail to raise a smile in me Terry. I repeat my first salient point ha ha ha , hee hee hee. Hows the betting odds on independence these days Terry is it still six to one ? Anonymous said - Thursday, April 10, 2014 1:04:00 pm. You will always be anonymous because like all fascists and nationalists you are a devout coward. Oswald Mosely was an ex member of the Labour Party when he formed the British union of fascists, Arthur Donaldson was a member of the snp when he decided to support Hitler and the Nazis. Moseley was expelled and ostracised by the Labour Party, snp member and Hitler appeaser Donaldson became leader of the snp and the snp to this day honour his memory with an annual Arthur Donaldson lecture. No difference there then eh?. Not only are you people cowards and fascists you are also spectacularly dumb as well. Ever heard of psychological projection Terry? Seems to fit with your behaviours quite accurately! Anonymous said...Thursday, April 10, 2014 3:07:00 pm. I believe it means a situation where someone like you would try to attribute your obvious faults to me. Such as while knowing that you are an anonymous coward you would accuse me of being a coward as well.